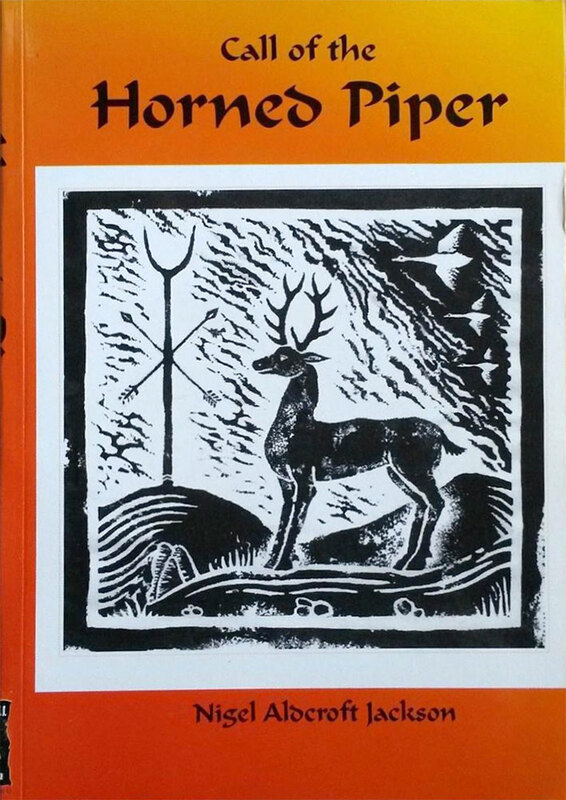 In said introduction, Mercer mentions the black books of Scandinavia that contain folk magic cures and charms, and laments the lack of extant British equivalents; despite there being tantalising titles for such lost tomes like The Devil’s Plantation and The Red Book of Appin. 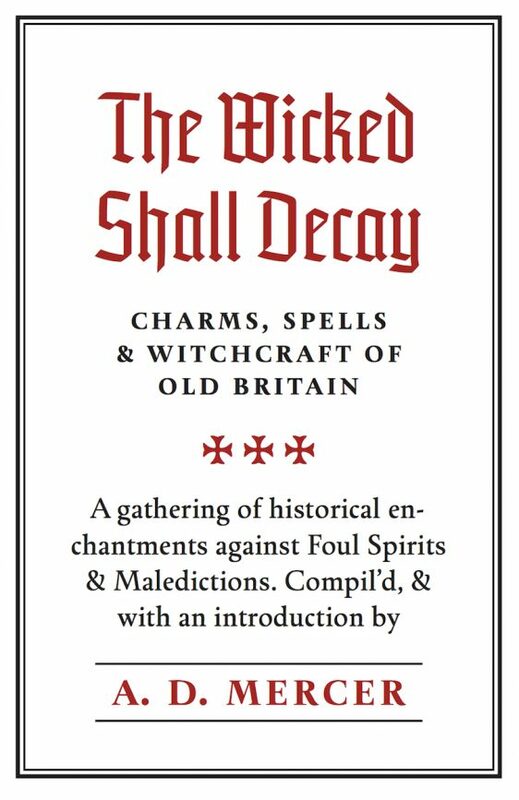 The Wicked Shall Decay seeks to rectify this by bringing together the kind of spells, charms and incantations that might have been in such a book, drawing on a variety of publications on British folklore from the nineteenth and twentieth century. 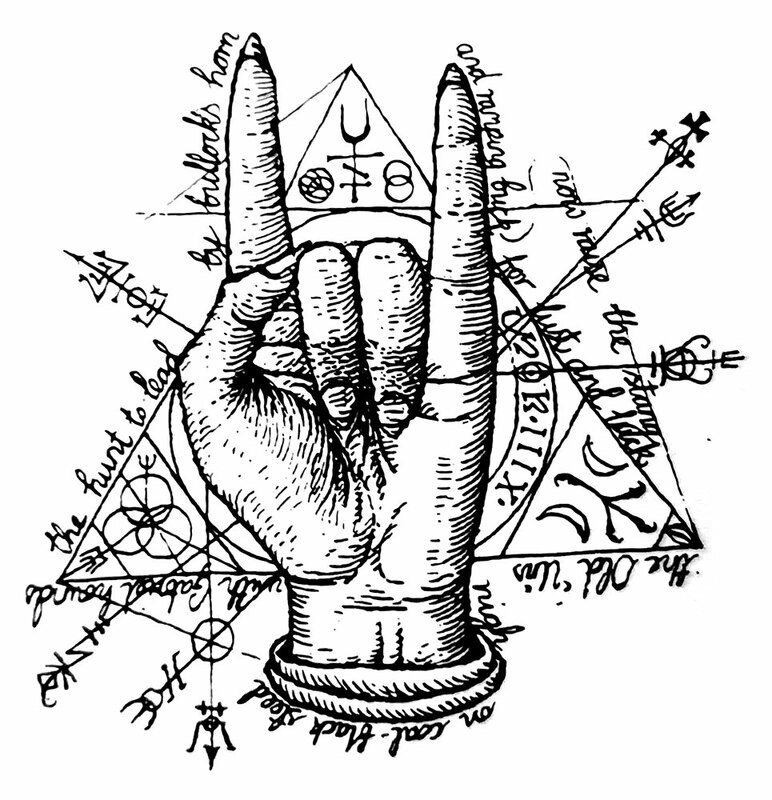 The spells and charms are grouped together into broad categories such as the healing of wounds, protection and defence, and dealing variously with witches, the devil and ghosts. 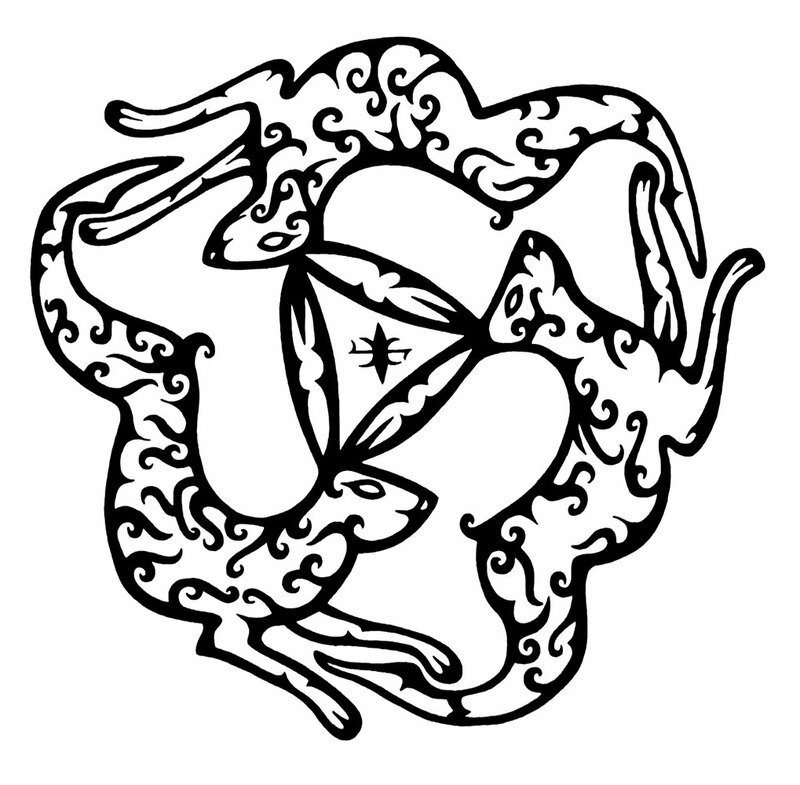 In addition to simple spoken charms and formulas of sympathetic magic, there are some examples of sigil and magic square work that draws from the grimoire tradition. Each entry is preceded by a title (with inconsistent capitalisation and punctuation) and each ends, by way of reference, with a bracketed three letter code indicating the source text, and a number pointing to, one hopes, the particular page on which it appears. There are some 36 publications in the bibliography, making for a wide pool of resources to draw from; though some feature more heavily than others. Mercer points out that he avoided Reginald Scot’s The Discoverie of Witchcraft or direct trial records, finding the former too obvious, while in the latter, he argues, any spells or charms may have just been made up by prosecutors for the charge sheet. When it comes to longer sections in his own words, the problems with Mercer’s writing, noted in the review of his Liber Coronzom, recur, and are cruelly abetted with insufficient proofing by Three Hands Press. He writes in a cumbersome, extended manner, producing sentences that run on, losing their tense in the breathless length. The writing is flabby and tautological, redundancies abound, and words are reused within sentences when a synonym would be tidier. Proofing is so careless that George Ewart Evans, for example, can be called Evans and Even in the same paragraph; with an improper use of a possessive apostrophe too for good measure. Given this, the reader may be filled with a little dread when Mercer says in his introduction that while he has, for the most part, retained the spelling and grammar of entries for the sake of authenticity, in some he has modernised them to aid understanding. Perversely, this attempt at aiding understanding sometimes seems to replace the original writers’ proper placement of commas with Mercer’s misunderstanding of punctuation, in which he infuriatingly uses them to mark the beginning of interrupting words and expressions, but not the end. Due to the prevalence of persistently poor punctuation, the reader finds themselves on guard for other errors in the transcription, and these crop up more often than they should, with words missing from sentences, whole phrases introduced that weren’t in the original, and formatting errors like accidental paragraph returns or individual lines that are combined into one without adjusting the sentence case. Without a thorough review of all entries it would be disingenuous to say that this sort of thing is true of all the content, but the cross-referencing of just a few examples throws up problems. One finds oneself descending down rabbit holes of fact checking, when one little thing looks wrong, only to find that yes, this has been transcribed wrong, yes, that little bit of Latin didn’t ring true because they’ve lazily mistaken an ‘e’ for a ‘c,’ and yes, that author’s name was Oliver Madox Hueffer, not Olivier Maddox Hueffer. The same is true of general accuracy in citation. In at least one case, the three letter reference code points to a publication that is not given that or any code in the bibliography (possibly because Mercer subsequently assigned separate codes to the book’s two volumes and didn’t update the body), while in another, the spell bears a code for a book that, despite having those three letters, doesn’t appear in the bibliography at all. Then there’s at least one instance in which the example doesn’t appear in the referenced publication, neither on the cited page or, it would seem, on any of its pages (and just for fun, ‘may’ is misspelt ‘many’ in this entry too), while in others, the reference is there, but on a different page; 87 instead of 67, for example. Finding some references in their sources can create even more consternation, such as several that are referenced from Oliver Madox Hueffer’s The Book of Witches. Here, Madox Hueffer is actually quoting Johann Weyer and in neither Madox Hueffer’s book, or in Weyer’s original is there any indication that what is being recorded is a charm from Britain; nor does Reginald Scot referencing Weyer in his The Discoverie of Witchcraft make them any more British. 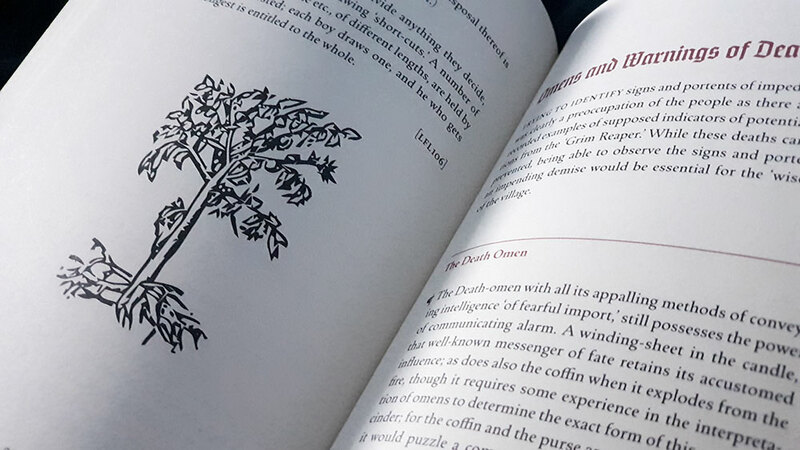 The 168 pages of The Wicked Shall Decay are printed in a two colour offset on heavy stock, with titles, subtitles, dropcaps and dividers in a lovely muted red and the body in black. 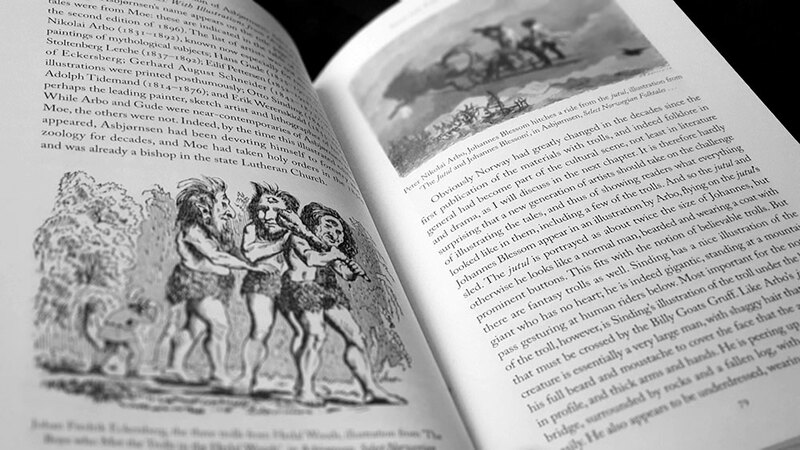 It is illustrated throughout with what the promotional blurb generously describes as 31 woodcut illustrations. 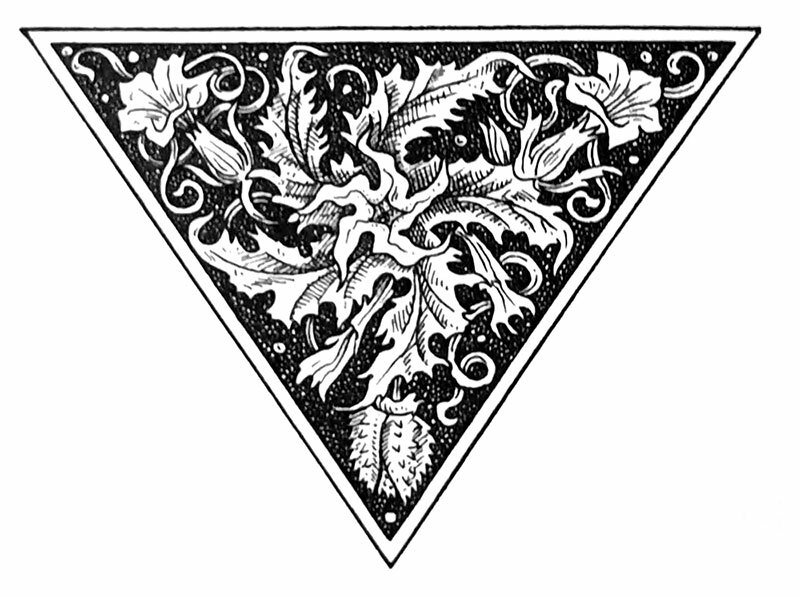 Some of the images may have begun life as woodcuts but most if not all have been automatically vectorised in a programme like Adobe Illustrator and the source material in many cases obviously wasn’t high enough quality to warrant it. Some are particularly bad and have no place being in print, such as a the above derivation of Two Witches Cooking up a Storm (the titlepage from Ulrich Molitor’s 1489 De Lamiis et Pythonicis Mulieribus) which is here rendered almost into abstract oblivion, the faces and bodies of the witches disintegrating into clumsy, laughable facets. And then there’s something which one assumes is a tree on page 92, or the brittle, piecemeal Rod of Asclepius on page 147, or two equally bad traces of an Abracadabra hexagram, which could have been effortlessly recreated from scratch by anyone worth their salt. 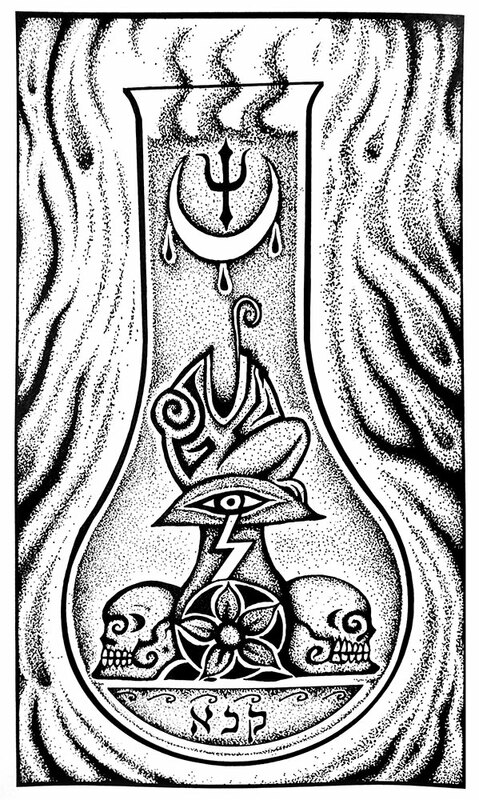 As it is, there’s little case for using many of these images as their selection and placement is often arbitrary; and even in a case where it’s kind of apropos, why the Eye of Providence in a section on the Evil Eye? Also, the style, depending on the quality and provenance of the source image, varies widely, with weight and quality of trace inconsistent throughout. The Wicked Shall Decay is interesting as what is effectively a reference list. It provides a glimpse of a variety of spells and charms, but given the sloppy transcription and referencing you would never want to trust it without going back to the source. If nothing else, The Wicked Shall Decay gave this reviewer the opportunity to spend perhaps far too many hours looking through the very texts from which it draws. The Wicked Shall Decay is available in three editions with a trade paperback, a standard hardcover in carmine cloth with two-colour embossed wraps, and a deluxe edition of 44 copies in full earthen full goatskin, with marbled endpapers and slipcase, bound by The Key Printing and Binding of Oakland. Ármann Jakobsson is Professor of Medieval Icelandic Literature at Háskóli Íslands/the University of Iceland and has been, as an oft-repeated bio tells it, a postman, a high school teacher, a journalist and critic, a reality TV star and a political activist. Trolls loom large in Ármann’s work, with the 2015/2016 writing of this book coming as the result of eight years working with the subject. 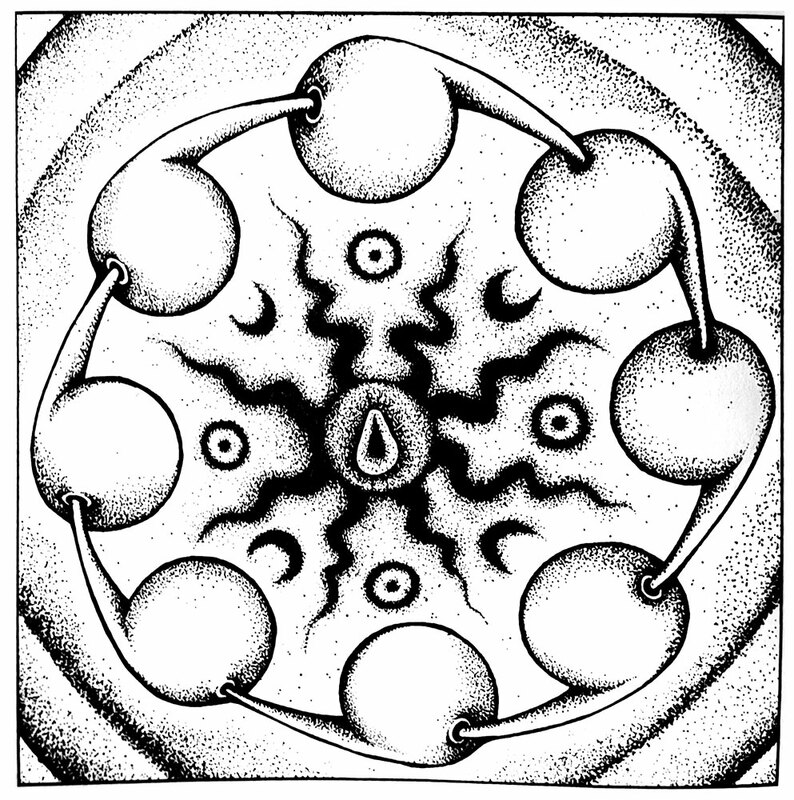 It is the product of a research project, Encounters with the Paranormal, which included collaborations with Ásdís Egilsdóttir, Torfi H. Tulinius, Terry Gunnell and Stephen Mitchell, as well as eight doctoral students, and three masters students who wrote their theses within the parametres of the project. 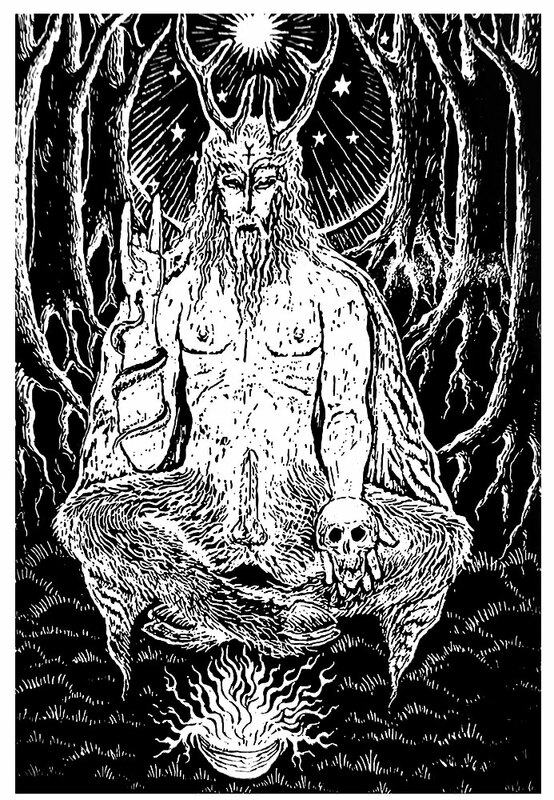 Ármann makes it clear from the start that the understanding of the troll, like the troll itself, is a shifting and intangible one – something intrinsic to the troll as a figure of ambiguity and otherness, whose only definable and immutable characteristic is that, due to their eldritch nature, they are to be feared. This resistance to definition, an opposition to any particularly constricting taxonomy, comes from the fact that trolls appear across the centuries in a multiplicity of forms: as ghosts or spirits, as supernatural but corporeal creatures (a categorisation that in itself can be broken down into still further categories), and as nominally human practitioners of sorcery. It is as if, as Ármann pithily notes, the more difficult it becomes to name or classify a monster, the greater the power it wields. 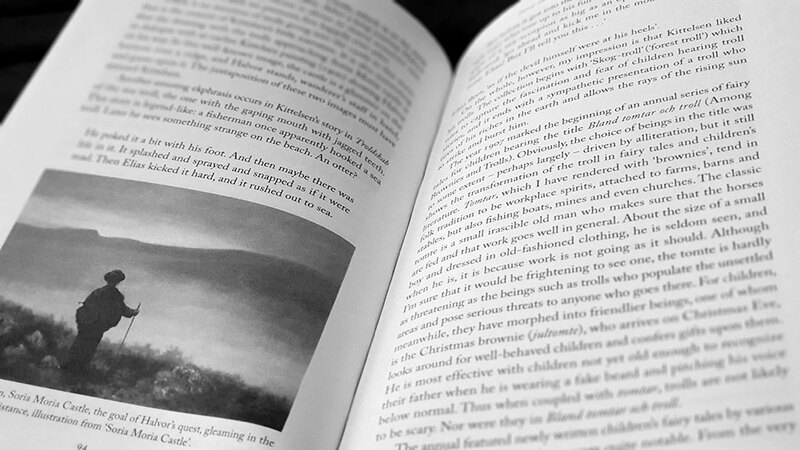 Whilst Ármann draws on Örvar-Odds saga and other sagas of the Icelanders for his initial discussion of trollish ambiguity, for his first thorough literature review he turns to the little known Bergbúa þáttr, whose singular tale tells of an encounter in a cave, sometime after the kristnitaka, between two men and the barely defined, forever ambiguous, bergbúa of the title. 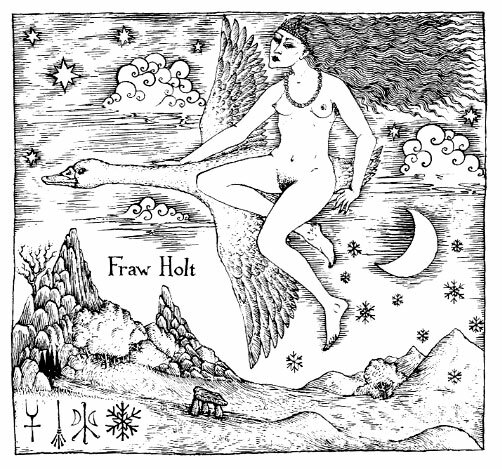 Although low on the usage of the specific word ‘troll,’ this story provides a showcase of all the themes Ármann has already identified: liminality, the unheimlich and of boundaries and intersections between worlds, be they human and the paranormal, a Christian present and a heathen past, and at its most obvious and symbolic level, the cave’s interior and exterior. This idea of troll space is explored further in subsequent chapters, as is the idea of trollspeak, with Ármann citing one example in which the mundanity of the speaking of trolls (not the expected grunts or howls) exacerbates their otherness, upending expectations, and with it, the world itself. Speech and language does figure largely throughout this book, and Ármann builds on his original discussion of the vagaries of the word ‘troll’ with a return to matters epistemological and a meditation of the vocabulary of the paranormal and its intersection with the occult. 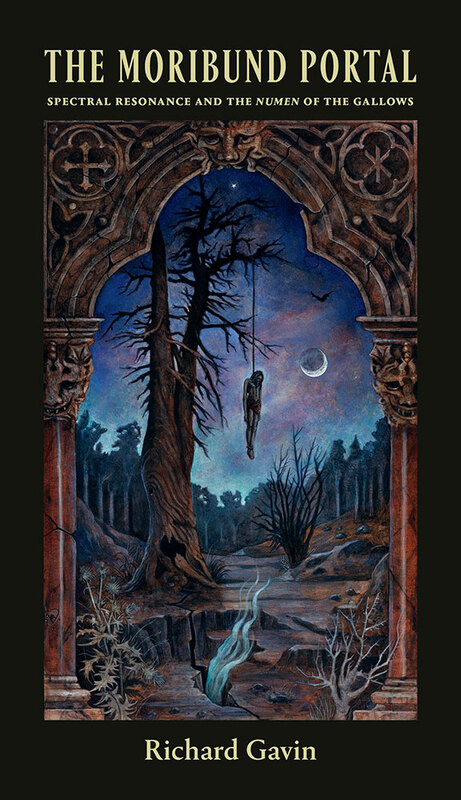 This is an area fraught with difficulty, and therefore ripe for analysis, because as Ármann notes, the essential nature of the occult is to remain hidden (a quality implicit in the very name), and therefore ambiguous and subject to doubt and uncertainty. 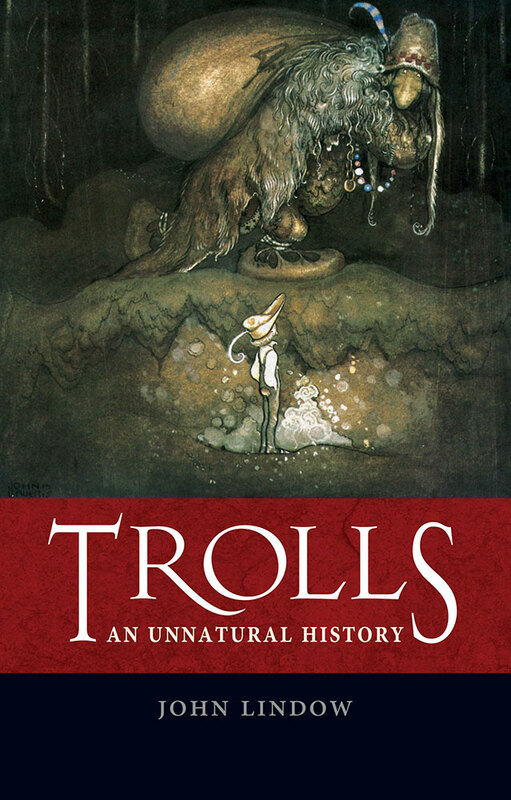 These explorations of language, and of the ambiguity of the figures it tries to define and make sense of, highlights that The Troll Inside You isn’t a study of trolls and their studiously cited source texts; for that there’s John Lindow’s concise Trolls: An Unnatural History, as well as previous writing by Ármann. 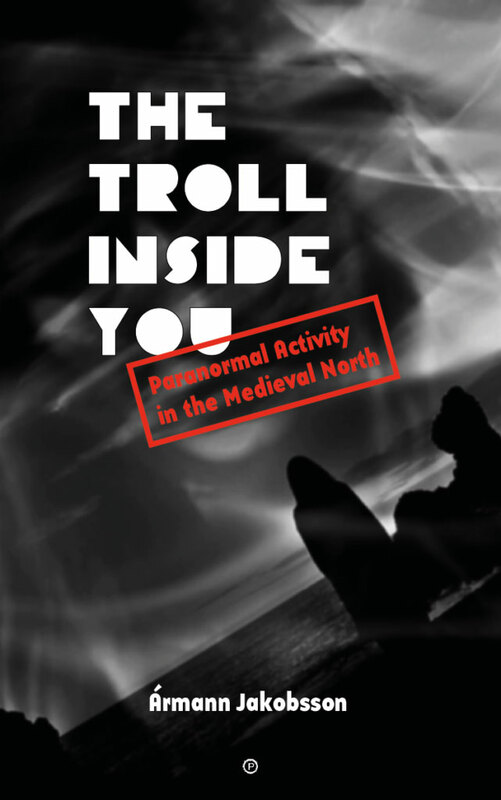 Instead, the troll is effectively used as a liminal gatekeeper, with its uncanny characteristics and resistance to definition providing a lens through which broader musings on perception and otherness in the Medieval North can be discussed. As always, Ármann writes in an engaging and enjoyable style, completely immersed in the language of academia’s modalities, but without overuse of that particular lexicon. While there’s a place for the convoluted styles of a Morton or Butler, it’s not here, and it doesn’t seem to be part of Ármann’s personality. Instead, he’s more interested in connecting with the reader with a clear, informed voice that is authoritative but by no means fustian. He also shows an arch sense of humour, such as an abrupt fourth-wall-breaking coda which he subtitles archaically as “Coda: In Which the Audience is Unexpectedly Addressed,” producing a truly laugh-out-loud moment. The structure of The Troll Inside You assists its readability with often brisk (though annoyingly unnumbered) chapters that act as perfectly digestible little chunks of trollish goodness. Similarly, from a technical perspective, the type is set matter-of-factly and competently in an atypical slab serif that ensures readability but has a modern touch. The end to The Troll Inside You sneaks up quickly on you, as the pure content finishes abruptly and early at the 163rd of its total 240 pages, with the rest of the book consisting of endnotes and an index. As the page count evinces, these endnotes are extensive and feature considerable elaboration, rather than simple citations or qualifications. Some run to half a page, with a small point size at that, so for those who interest is piqued, there’s a lot of adjunct material to dive into, and a lot of flicking to the end section as you read. 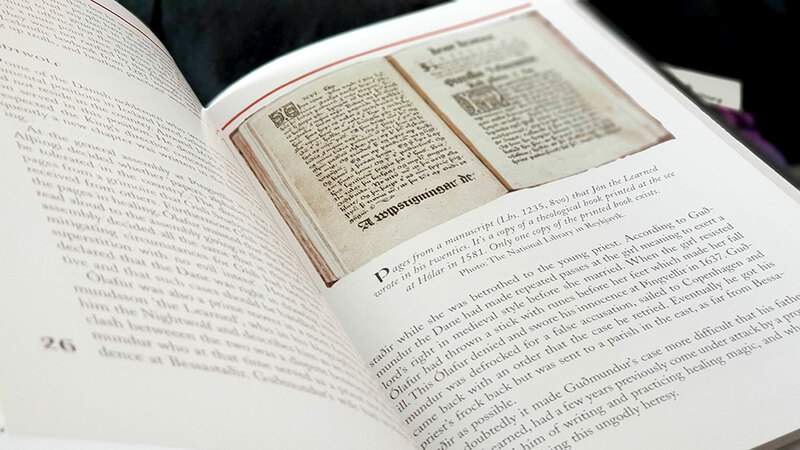 This, the second book released by the fledgling Atramentous Press, is subtitled “Narratives of Witchcraft and Magic from 16th and 17th Century” and presents exactly that. While other titles from Atramentous have had a philosophical emphasis, this book is focussed on matters practical, providing a thorough documentation of its very particular subject matter. 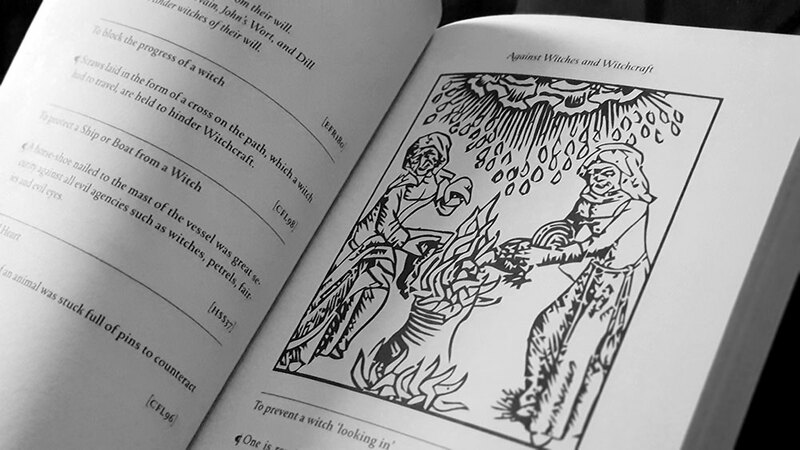 Welsh Witches is a combination of disquisition and documentation, with one part of the book providing a survey of witchcraft in Wales, and the other presenting court records and pre-trial transcripts verbatim. 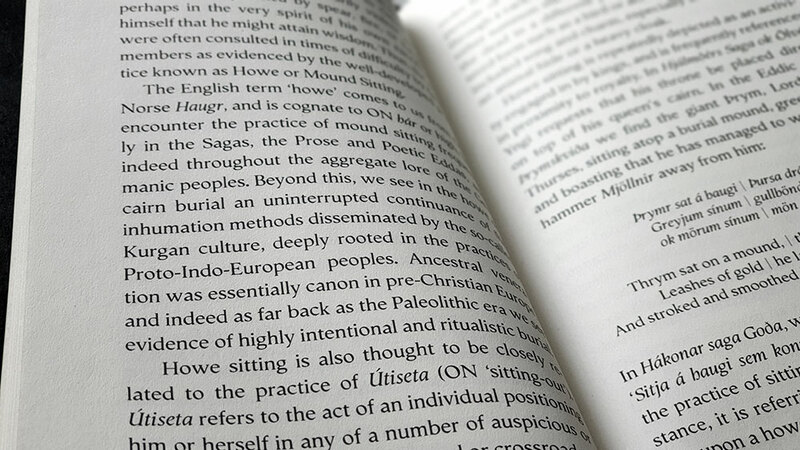 Establishing the book’s credentials, everyone’s favourite pagan academic uncle, Ronald Hutton, introduces Welsh Witches with a foreword in which he highlights that the documents presented here allow us to hear the voices of those accused of witchcraft, and their accusers, albeit meditated by the method of recording as court proceedings, and as translations into English of Welsh oral examinations. Hutton notes that few witchcraft pre-trial proceedings from Britain have survived (in Essex, for example, where over 450 suspects were indicted, the documents were entirely discarded), and that the Welsh examples are therefore the earliest such records still extant. Suggett works as a Senior Investigator of Historic Buildings at The Royal Commission on the Ancient and Historical Monuments of Wales in Aberystwyth, and is a fellow of the Royal Historical Society, the Learned Society of Wales and the Society of Antiquaries of London. He is also the author of the 2005 work A History of Magic and Witchcraft in Wales, and so, as you would expect, there’s no problem with the quality of the writing or the analysis here. 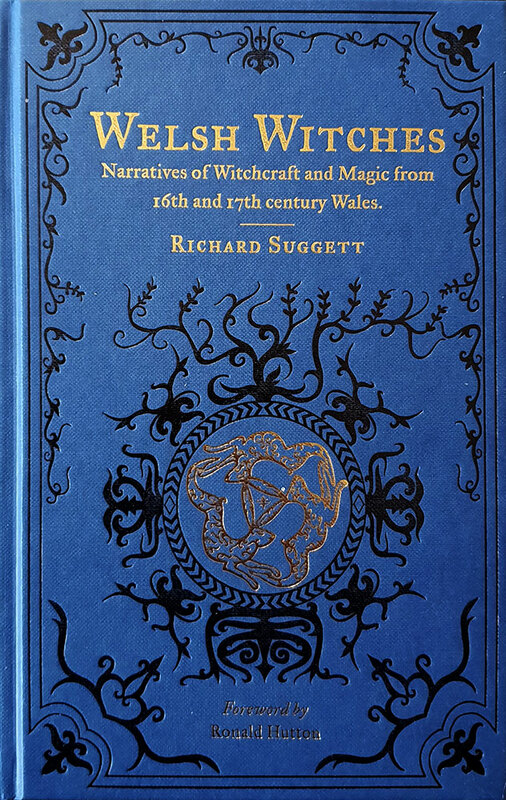 He begins with a summary of Welsh witchcraft, both broadly and in detail, providing many examples, all beautifully and mercifully annotated with citations. This is a richly drawn image, with multiple examples to draw from, and Suggett gently and expertly corrals the information with his insights. In some ways, it is a humble picture here, there are no grand sabbats or nights on the Welsh equivalent of Bald Mountain, and the accusations of witchcraft are embedded within a mundane setting, seemingly themselves part of that mundanity. The rest of the book, two thirds of its total length, is then made up of transcripts of pre-trial and trial documents. 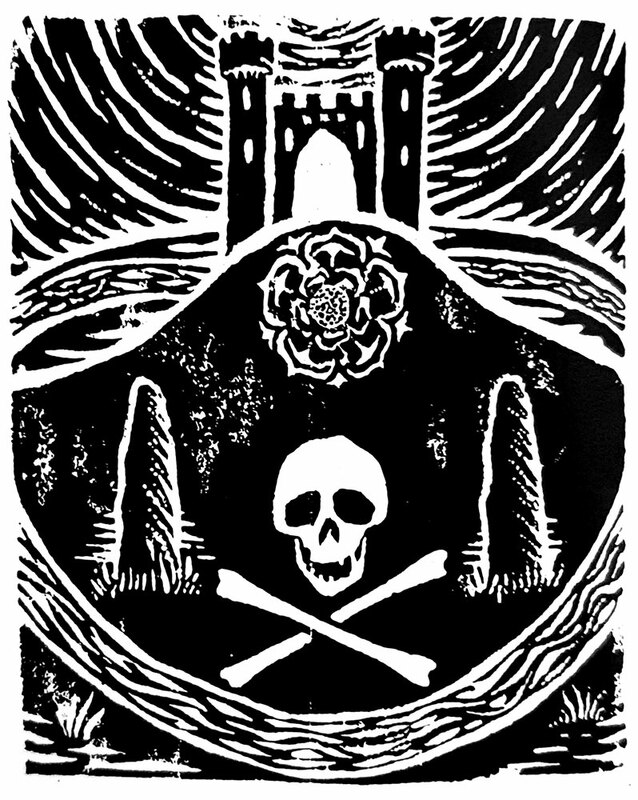 These begin with the earliest legal reference in Wales with the 1502-1503 case against Thomas Wyrriot, who, aiming high, had hired a witch from Bristol, Margaret Hackett, to destroy the Bishop of St David’s, Pembrokeshire. There are sixteen cases in all, including various crimes such as consorting with faeries, image magic, and that old favourite, detecting a thief with charmed cheese (that’s using charmed cheese for the detecting, not for detecting a thief in possession of a charmed cheese). It ends in 1699 with the case against Dorcas Heddin, the last prosecution for witchcraft heard at the Court of Great Sessions, in a case with elements otherwise missing from Welsh tradition: a long-standing relationship with the devil as the man in black and demons exchanges of drops of blood. For each record, Suggett provides a helpful summary of the case, giving context and unwrapping some of the narrative obscured by archaic language, before thoroughly documenting every, erm, document. Welsh Witches endears itself with its seriousness. It is not a book for practitioners, set in a slip of myth, with all the risks to accuracy that that entails, but is instead a serious work of history, no matter how quotidian. The verbatim trial and pre-trial records provide a valuable resource for reference, even if they are not the most obvious thing to read purely for pleasure in their entirety, given their archaic spelling and phrasing which has been retained. Aesthetically, Welsh Witches is gorgeous, even in its standard edition. 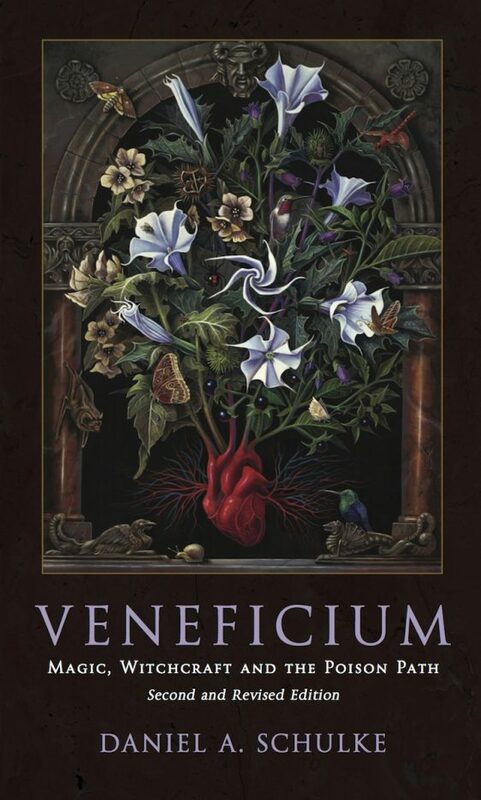 Bound in a blue cloth, it features what has already become the standard Atramentous style, with a verdant ornamental design from Carolyn Hamilton-Giles on the cover, spine and rear. 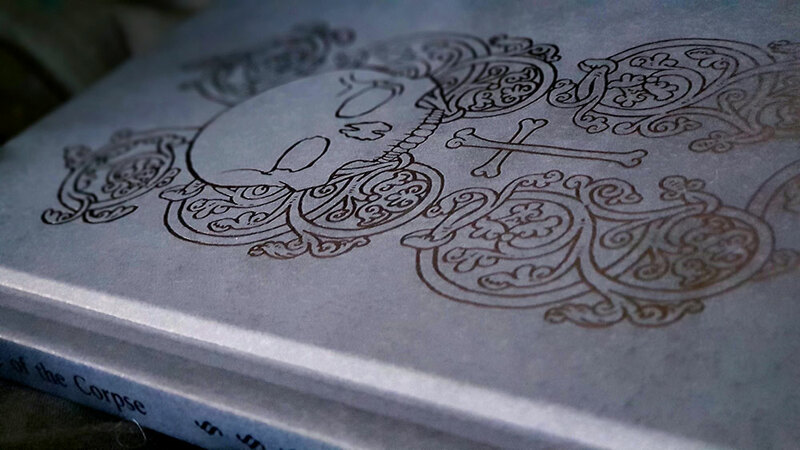 This is debossed and foiled in black, with the title, author and a central leporidaen triskelion foiled in silver. A similar approach is found on the back, with the Atramentous logo foiled in silver amongst the black-foiled filigree, while title, author and an ornamental device on the spine are all in gold. Hamilton-Giles’ illustrative work regrettably does not feature inside the book, but the typesetting by Joseph Uccello is worth noting. Uccello displays a deft hand, with a clean, serif style used throughout for both body and display, although running titles are rendered in a heavy, somewhat incongruous blackletter face that I’m not sure about. Section title pages are nicely designed with a combination of Roman and Italic styles and an ornamental element, but these defy convention by occurring on verso rather than recto pages in the spread, making them less effective as titles and somewhat jarring in their positioning. Annoyingly, since this happens on the first title, all it would have taken is to recto that one page, and all the subsequent title pages would have bumped along onto the opposite side of the spread. 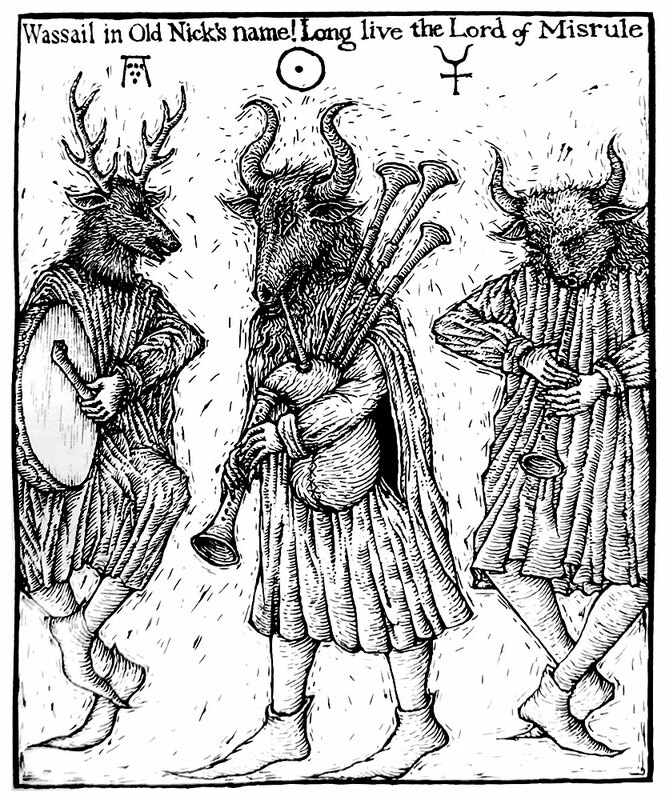 Due to its very nature, Welsh Witches is textually dense with nothing in the way of in-body illustrations. Instead, two of the sections end with several pages of relevant images. 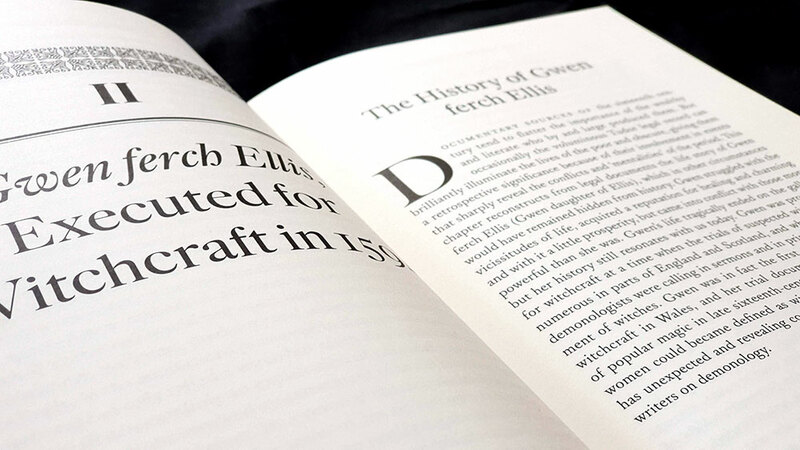 Printed on the same stock as the rest of the book, rather than as glossy plates, these are facsimiles of court documents (such as the arraignment for Gwen ferch Ellis below), excerpts from other documents, or current photographs of pertinent locations. Welsh Witches is available in a standard edition and a now sold out deluxe edition. 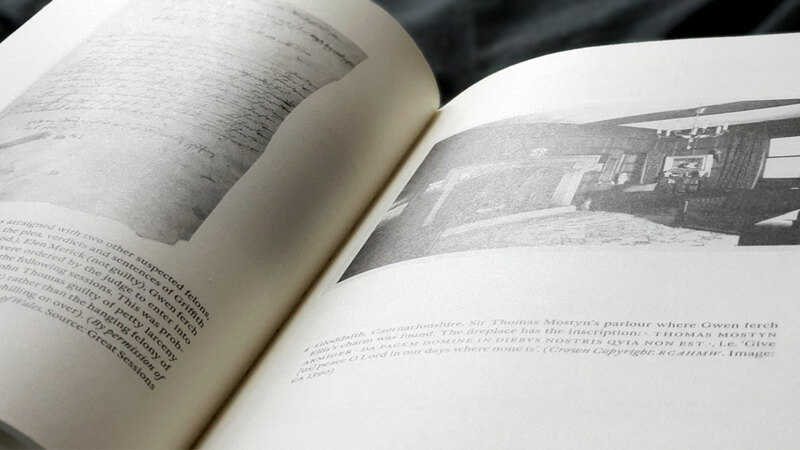 The standard edition of 777 copies consist of 250 pages, hardbound in buckram cloth with two colour foiling, natural wibalin endpapers and a bookmark ribbon. The deluxe edition of 13 copies was bound in full navy blue goat skin, two colour foil block to front and rear, gold foil to spine, charcoal grey Strathmore Grandee endpapers, and a book ribbon. It was housed in a navy suedal slipcase covered in black cloth. In 2002, Strandagaldur, also known as the Museum of Icelandic Sorcery and Witchcraft in Hólmavík, Iceland, hosted the Exhibition of Sorcery and Witchcraft, which one assumes evolved into or contributed to the museum’s permanent exhibition. 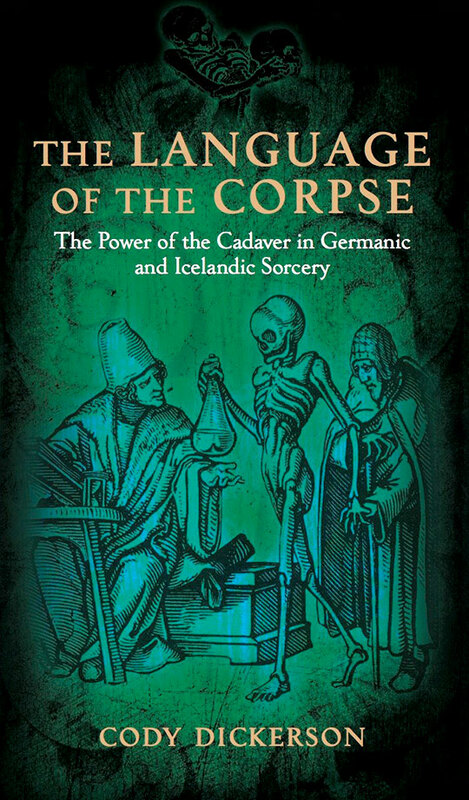 Shortly after the opening it became evident that there was a need for a short book on Icelandic sorcery and witchcraft, one that reflected the questions asked of museum staff by visitors Icelandic and foreign; especially given the dearth of texts on the subject outside of academia. Angurgapi: The Witch-hunts in Iceland is exactly that. It is by no means a survey of the museum’s collection, for which there is now a catalogue, and instead gives a pithy and concise survey of Icelandic witchcraft, using the framing device of witch-hunts to delve a little deeper in places. 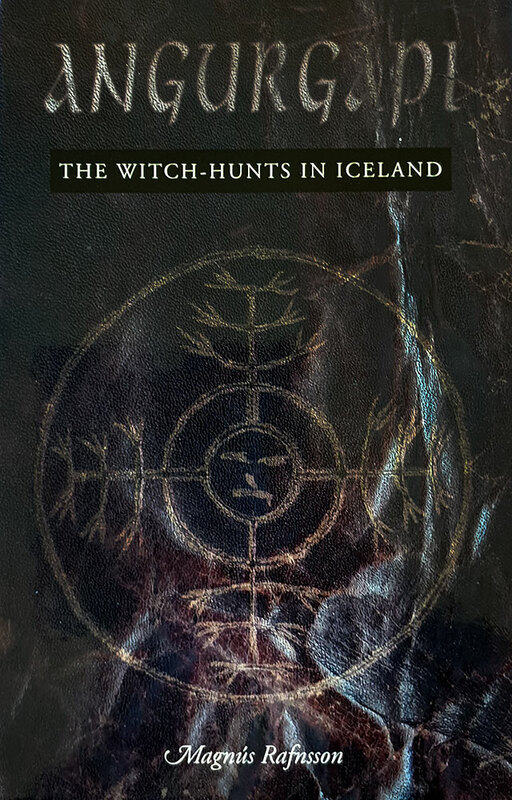 It is, though, the witch-hunts in Iceland that the book devotes much of its space to, beginning with a summary of several notable early cases. What immediately becomes clear is that contrary to the continental stereotype, it was men who received the most convictions for sorcery in Iceland, and not just any men but men of the cloth. 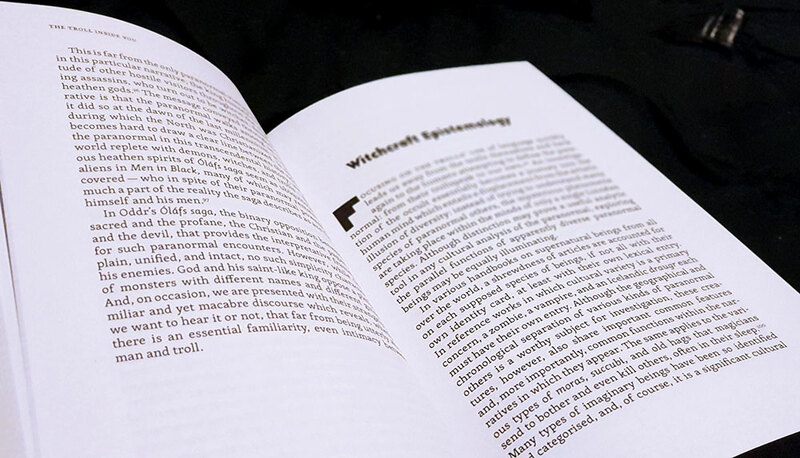 In many cases, accusations of witchcraft seems to have gone hand in hand with clerical infidelity, with Rafnsson presenting several examples of priests who were accused of witchcraft as well as fathering children or engaging in adultery or sexual assault. Even Gottskálk Nikulásson, the last Catholic Bishop of Hólar from 1496 to 1520 (who had multiple mistresses and sired at least three children), was thought to be a sorcerer, and the author of an infamous grimoire called Rauðskinna. One exception to this template, indeed its polar opposite, was Jón Guðmundsson the Learned, who, as his name suggests, was something of a 16th-century Icelandic Renaissance man, being a writer, artist, sculptor, and an observer and documenter of nature. He ran afoul of the authorities when he criticised the murder of a group of Basque whalers in the Westfjords, and this ultimately led to accusations of witchcraft when a book he had written was used as evidence of diabolism. Jón admitted to writing the now lost volume and defended it as a book of healing without any evil purpose. While the image of Jón as a polymath with inclinations towards natural philosophy would seemingly make authorship of a grimoire unlikely, a listing of the book’s sections preserved in court documents reveals not herbal cures, but spells of the type found in other black books: charms against elves, madness and fire, or spells for providing victory in war or against storms at sea, amongst others. 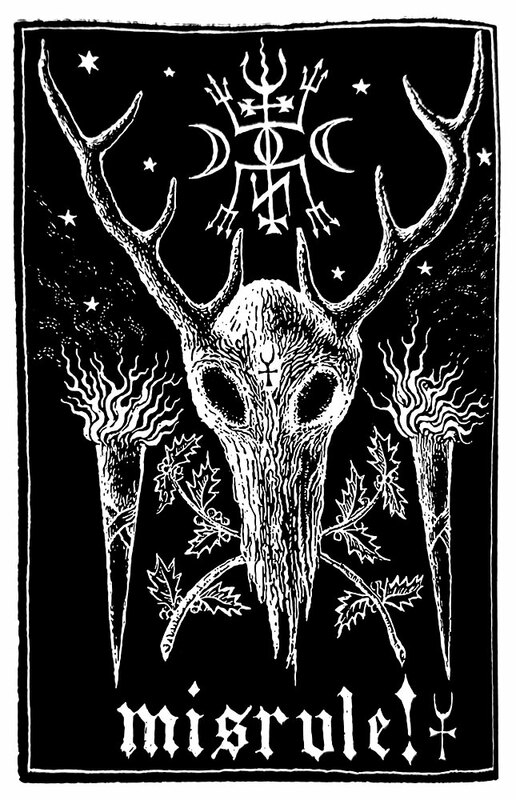 It is these types of grimoires and their attendant spells and charms that figure largely in the Icelandic accounts of witchcraft, rather than the transvection, sabbats and other diabolical congregations of their continental colleagues. 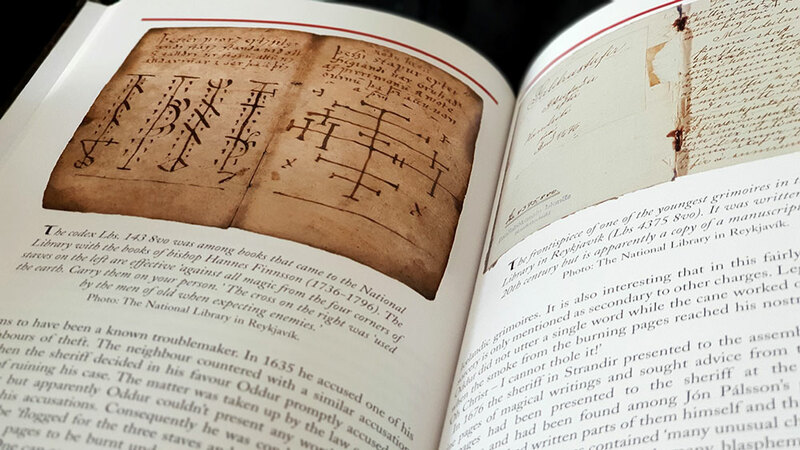 As Rafnsson notes, almost a third of the Icelandic witchcraft trials centre on the possession of grimoires and other examples of rendered magical staves, charms or sigils. While many of these have been destroyed (with court records documenting two instances of a punishment in which the guilty party was made to inhale the smoke of the burning pages), what has survived presents various interesting themes: a juxtaposition in references to pagan and Christian deities, the combination of continental influences with entirely indigenous elements such as magical staves, and the role played by copying in transmitting this information down through the years. What comes through clearly in the various accounts of witch trials is the sense of paranoia and fear prevalent at the time, where accusations of witchcraft often appear to be acts of self-preservation, where the accuser, even sheriffs and priests, could themselves easily become the accused. There is also a sense of disproportionate punishment, where admission of knowing and using a simple non-malicious charm could lead to exile or death. With some relief for the reader, Rafnsson does document the change in beliefs and values as society progressed, past cases were reassessed and found wanting (though small comfort to those who had been executed), and, as happened elsewhere, those who made accusations of witchcraft were increasingly more likely to be convicted for wasting the court’s time, rather than seeing their neighbours pilloried. 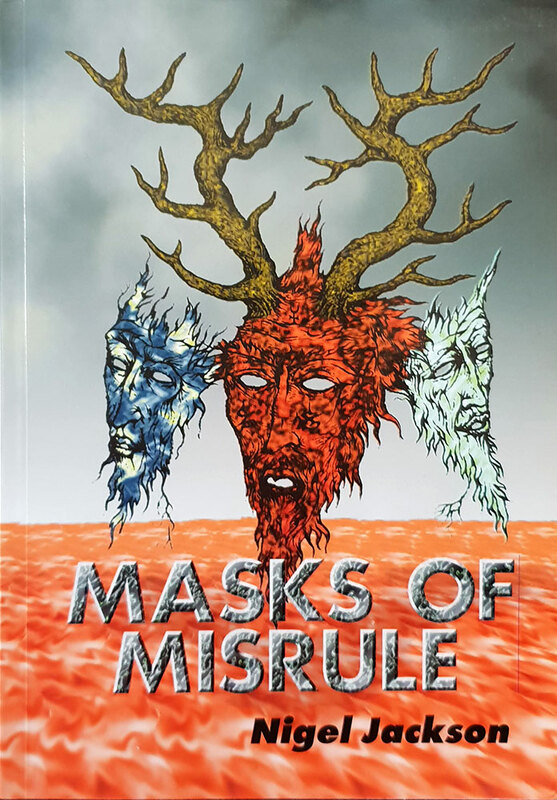 After a heart felt memoriam noting the loss of life and humiliation experienced by those accused of witchcraft, Angurgapi concludes with a little travelogue of the Icelandic witch-hunts, devoting four pages to various notable locations, each presented with a photo and a brief explanation. These help provide context to some of the accounts that have preceded it. Rafnsson writes throughout Angurgapi in a clear, no-nonsense manner that is an effortless joy to read. Without much adornment, the facts are presented in a matter of fact but sympathetic manner that is surprisingly engaging. As such, Angurgapi achieves what it set out to do, providing a brief but by no means superficial survey of a topic for which there is still little thorough documentation of. 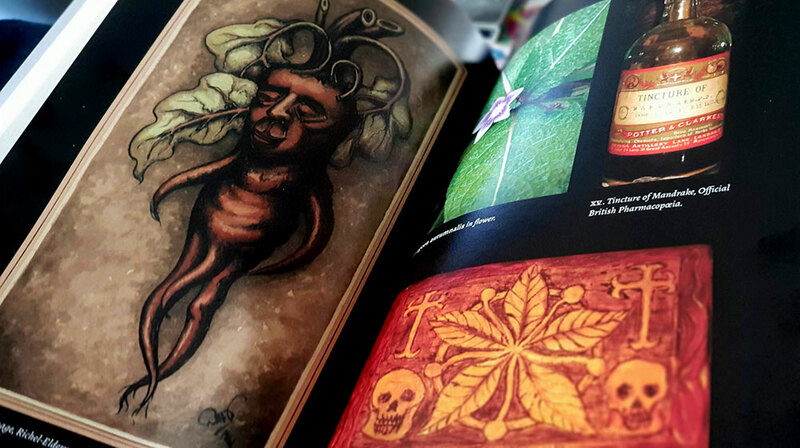 Angurgapi runs to a mere 85 pages but feels weightier due to the hardcover binding and wrap-around glossy cover (went a little overboard on the old Photoshop Texture filter there, folks). Inside, the pages are also glossy and colour images abound. 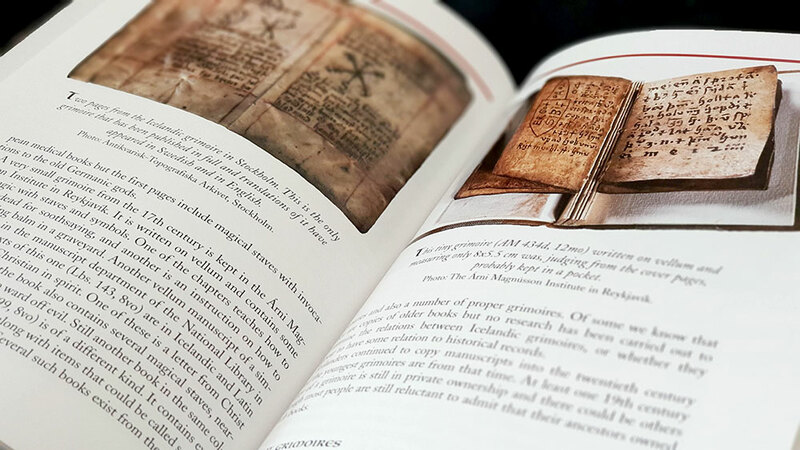 These include beautiful scans of original manuscripts, principally spreads from grimoires, sourced from the National Library in Reykjavík. 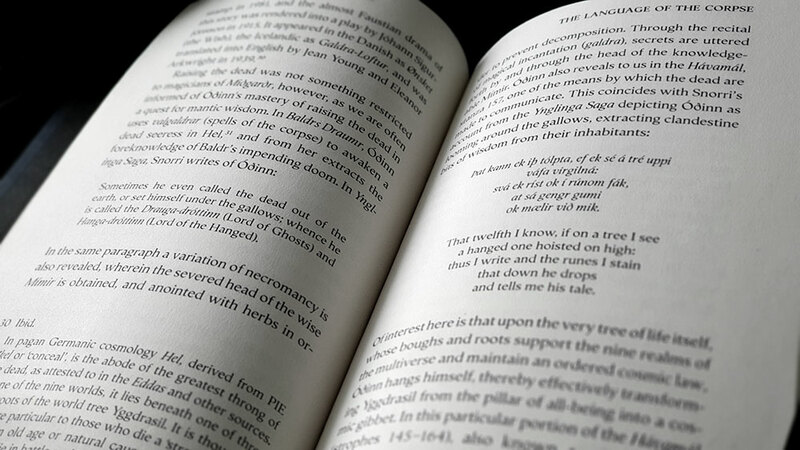 Text is formatted cleanly and confidently, albeit in nothing but humble Times, and there are little nice touches, like the overly large page numbers rendered in an uncial face. There is one reservation with the layout though, with the text alternating between three styling choices: body, block text and image captions. The block text, usually an addendum to something in the main text, are set in a grey box and styled at the same point size as the body, but with less, rather than more, of an indent. In some cases running to several pages long, they often awkwardly interrupt the main body and aren’t successfully identified as secondary in hierarchy. 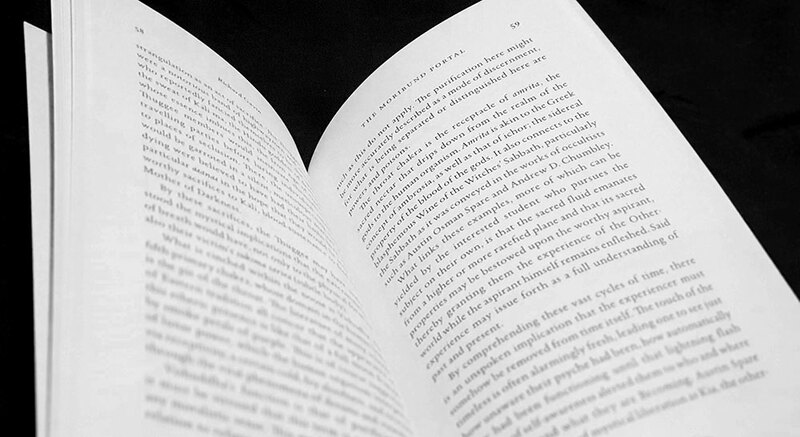 The same is true of image captions, which are rendered in an italicised face only a few point sizes smaller than the body, meaning that despite being centred and placed in relation to their respective image, the eye often reads them as if they are a continuation of the main text. 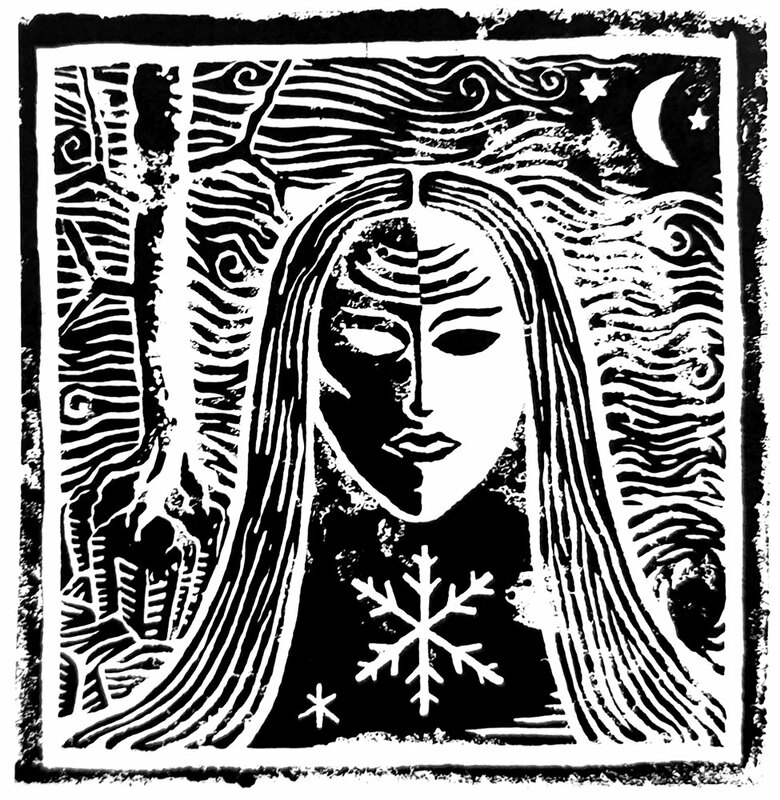 Since the release of Angurgapi in 2002, Strandagaldur have expanded their publishing, releasing the aforementioned catalogue, as well as various archival publications of grimoires: Tvær galdraskræður, a bilingual bringing together of two manuscripts, Lbs 2413 8vo and Lbs 764 8vo (aka Leyniletursskræðan); Lbs. 143,8vo (aka Galdrakver) as a two book boxset featuring a facsimile in one and translation in multiple languages in the other; and a complete facsimile edition of the galdrabók Rún with translation. All thoroughly recommended.